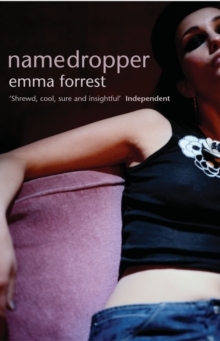 Emma Forrest, an English journalist, was twenty-two and living in America when she realised that her quirks had gone beyond eccentricity. Lonely, in a dangerous cycle of self-harm and damaging relationships, she found herself in the chair of a slim, balding and effortlessly optimistic psychiatrist - a man whose wisdom and humanity would wrench her from the vibrant and dangerous tide of herself, and who would help her to recover when she tried to end her life. Emma's loving and supportive family circled around her in panic. She was on the brink of drowning. But she was also still working, still exploring, still writing, and she had also fallen deeply in love. 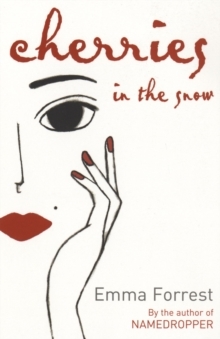 One day, when Emma called to make an appointment with her psychiatrist, she found no one there. He had died, shockingly, at the age of fifty-three, leaving behind a young family. Processing the premature death of a man who'd become her anchor after she'd turned up on his doorstep, she was adrift. And when her significant and all-consuming relationship also fell apart, she was forced to cling to the page for survival. 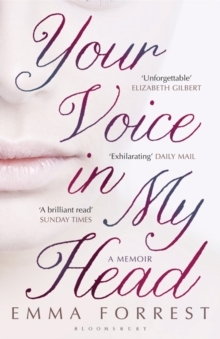 A modern-day fairy tale of New York, Your Voice in My Head is a dazzling and devastating memoir, clear-eyed and shot through with wit. 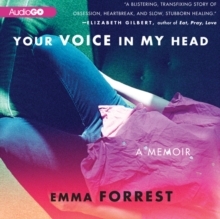 In a voice unlike any other, Emma Forrest explores breakdown and mania, but also the beauty of love - and the heartbreak of loss.